A monthly gathering for people who are in their first year of mourning the loss of a loved one. 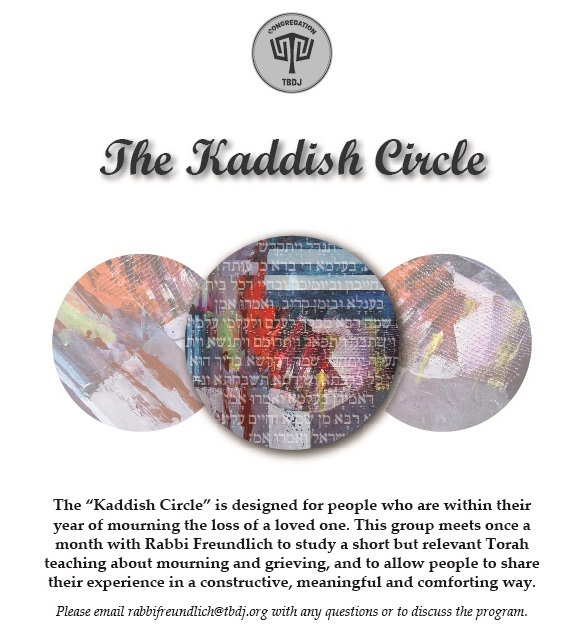 Come and study a relevant Torah teaching about mourning, grieving and loss, and share your personal thoughts and feelings in a supportive environment. In the TBDJ Library. Write rabbifreundlich@tbdj.org to let him know you will attend.